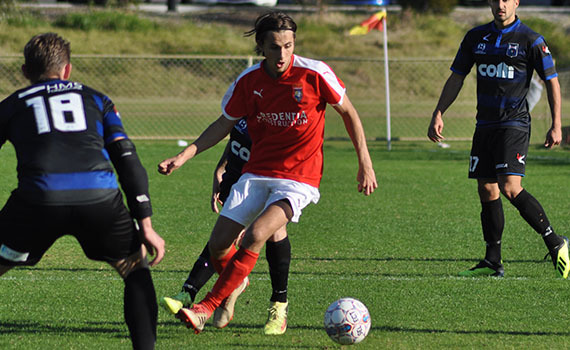 After a break-out season for ECU Joondalup first team in 2018, Tom Hough has been rewarded by signing again for 2019. The 18-year-old, who came through the club’s academy has blossomed into a versatile player and has been used by the coaches in defence and midfield, and he made 18 appearances last season bagging two goals, and he said he enjoyed the move to first team football. 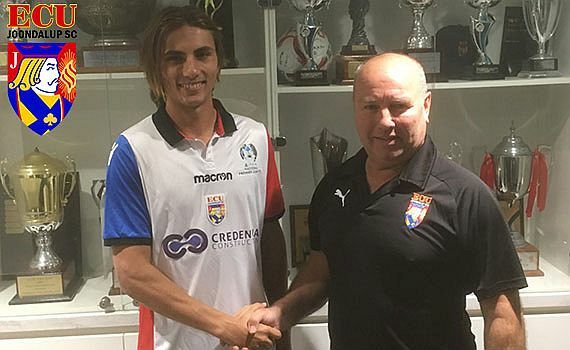 Hough joined the Jacks in 2014, after spells at South Perth and Westside, and was a stand out in the under 15’s, and at the time he was coached by Dale McCulloch, before moving through the ranks at the club to get his spot in McCulloch’s NPLWA side.